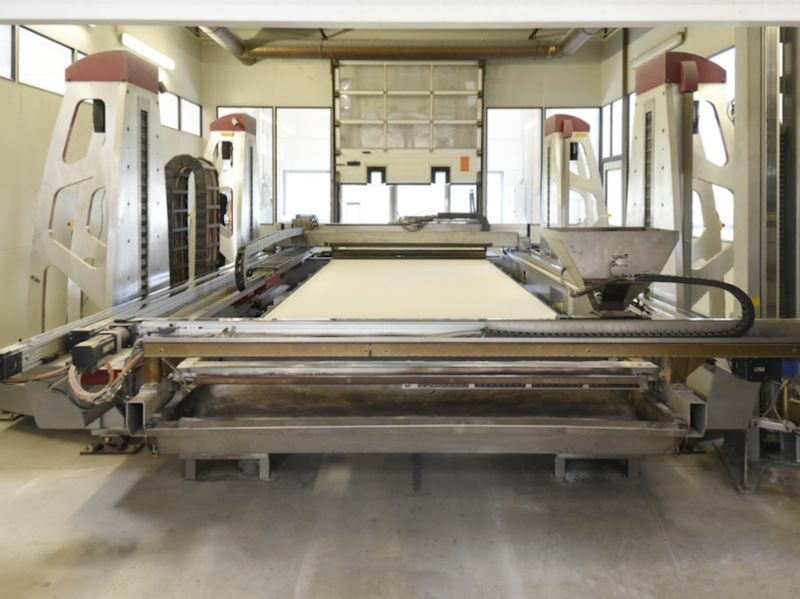 As part of DFAB HOUSE, NCCR researchers have fabricated an 80 m2 lightweight concrete slab, making it the world’s first full-scale architectural project to use 3D sand printing for its formwork. Just 20 mm thick at its thinnest point, decoratively ribbed and not even half as heavy as a conventional concrete ceiling: with “Smart Slab”, the name says it all. The slab combines the structural strength of concrete with the design freedom of 3D printing. Developed by the research group of NCCR principal investigator Benjamin Dillenburger, Assistant Professor for Digital Building Technologies at ETH Zurich, Smart Slab is one of the core elements of the residential unit DFAB House at Empa’s and Eawag’s research and innovation platform NEST in Dübendorf. The 80 m2, 15 tonne ceiling consists of eleven concrete segments and connects the lower floor with the two-storey timber volume above. The full news article can be found here. Additional information can be found on the DFAB HOUSE project website. Image caption: The Smart Slab, resting on the Mesh Mould wall during the installation of the services for the Spatial Timber Assemblies above.